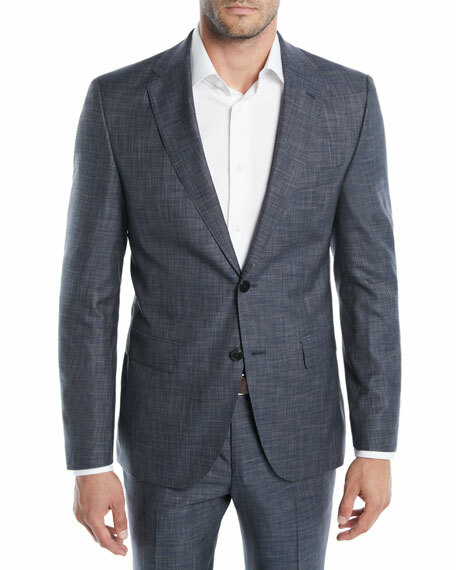 BOSS Hugo Boss two-piece suit in melange suiting. Includes matching flat front pants. For in-store inquiries, use sku #2607665. 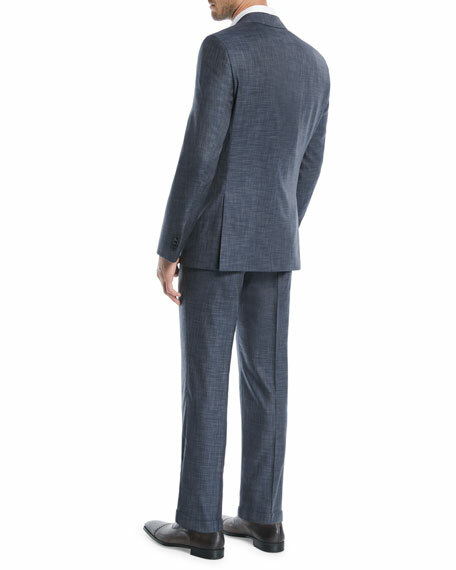 Canali two-piece tuxedo suit from the Impeccabile group of high performance fabrics. Shawl collar; one-button front. Basted sleeves. 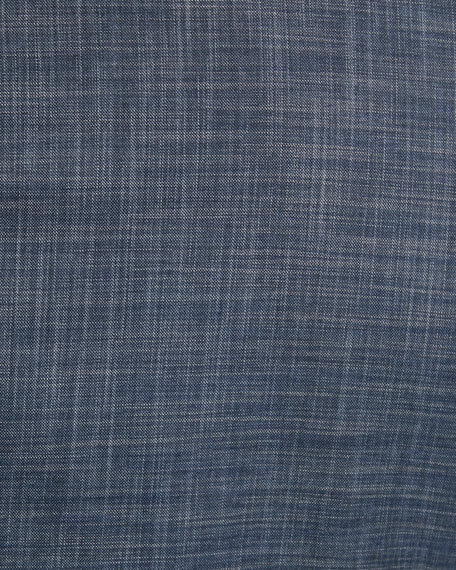 Front besom pockets; chest welt pocket. Non-vented back. 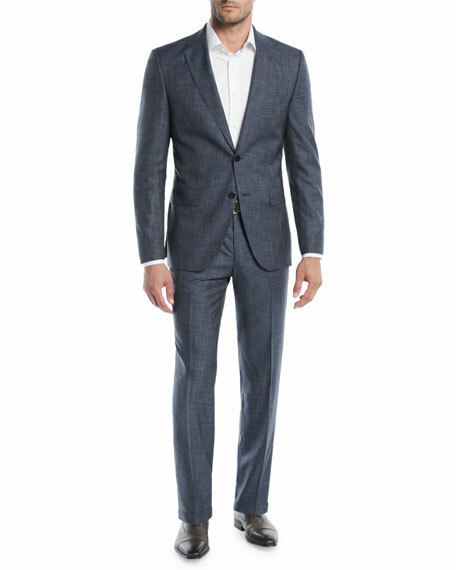 Includes matching flat-front trousers with tapered leg. Unfinished hem to be tailored to desired length. Super 140s wool. Made in Italy.